When Jesus heard [that the man he had healed was thrown out of the synagogue], he found the man and asked, "Do you believe in the Son of Man?" The man answered, "Who is he, sir? I want to believe in him." "You have seen him," Jesus said, "and he is speaking to you!" 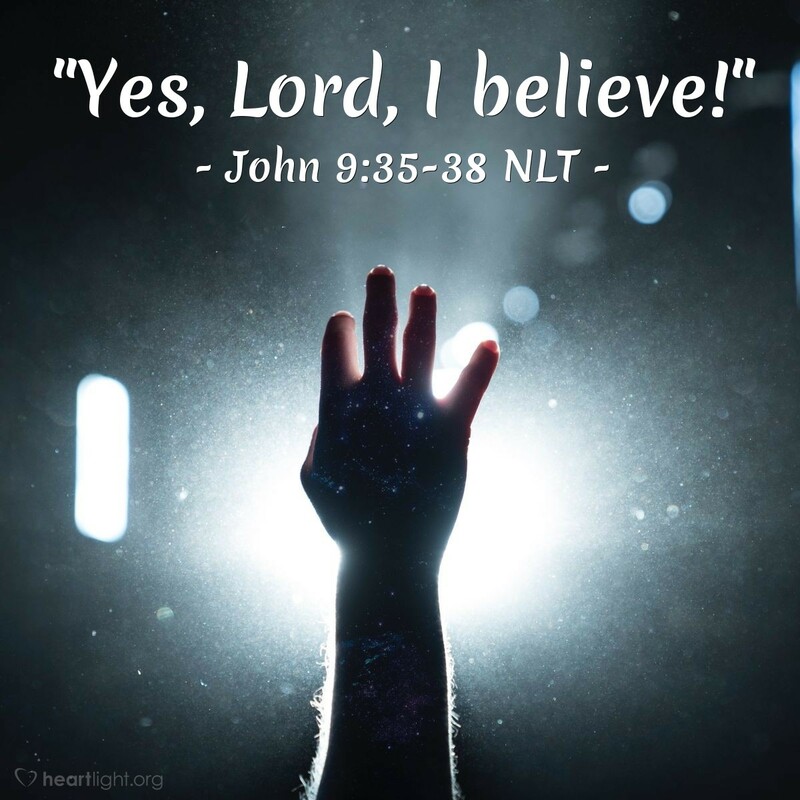 "Yes, Lord, I believe!" the man said. And he worshiped Jesus. Jesus shows by his actions that he is who he claims to be. When everyone else abandons and casts out the healed man, Jesus goes and finds him. The man shows he is a true God-seeker because when Jesus shares with him his identity, the man worships him. Let's show who we are by our actions and trust that Jesus will do so as well! Dear God, thank you that Jesus does not abandon me when everyone else does. Thank you for your steadfast faithfulness toward me even when no one else believes in me. Help me form my character so that I will be steadfast and faithful as you are. In Jesus' name, I pray. Amen.